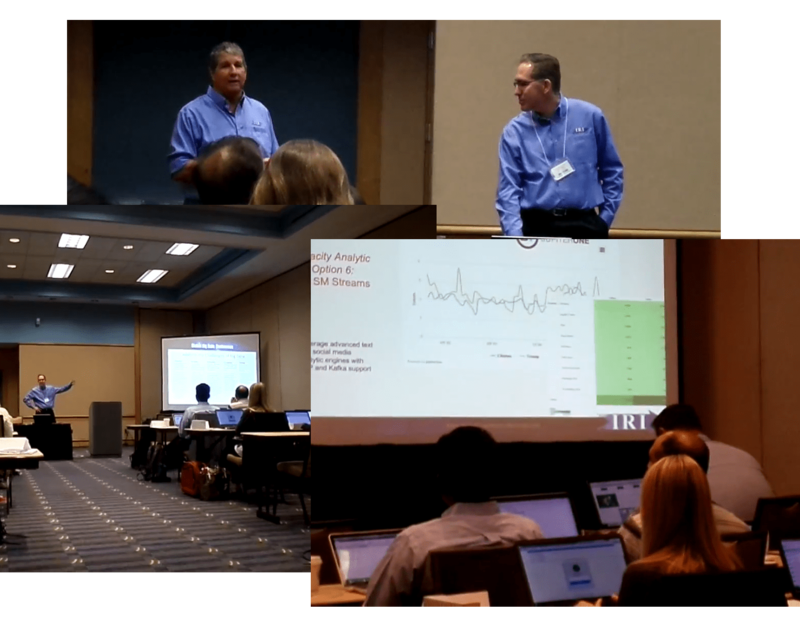 At the Big Data Bootcamp in Tampa, FL, on December 9th, IRI updated attendees on developments in its new end-to-end platform for big data management, Voracity. Since 1978, IRI, The CoSort Company, has continuously innovated in data processing software, and was touting its handling of big data in 2003. David Friedland, the VP and COO, joined the company in 1988 and has focused on the data management product line and corporate growth. Also presenting is Don Purnhagen, IRI's CTO and in-house data scientist. He has been with the company for about 15 years and is the lead developer on the Hadoop and other big data initiatives, including IoT and analytic platform integration. We have been adding capabilities to the five core areas in the IRI big data management platform, Voracity. They are: Data Discovery, Integration, Migration, Governance, and Analytics. Additionally, we've expanded into streaming data from web services, IoT devices, and Kafka, as well as Amazon and Azure source and target compatibility. Other recent developments include further data governance initiatives with data classification and master data management, plus a new firewall that monitors, protects, and audits on-premise and cloud databases. @Tampa - Florida: Download here.